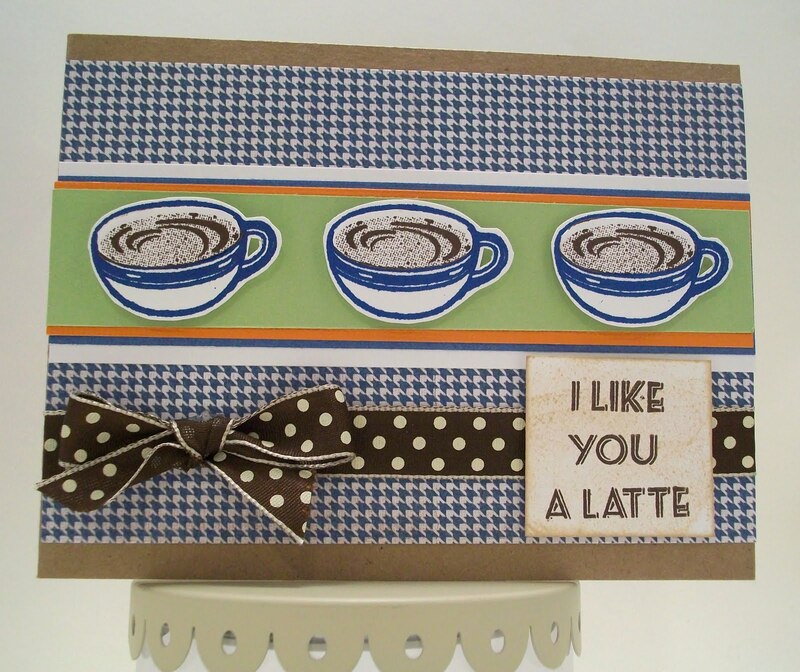 I used the coffee cup stamps and the sentiment from Crafty Secrets’ “Coffee & Tea” Art Stamps set. The patterned paper is from Pink Paislee and the cardstock is Stampin’ Up and Core’dinations. The ribbon is from Creative Impressions. 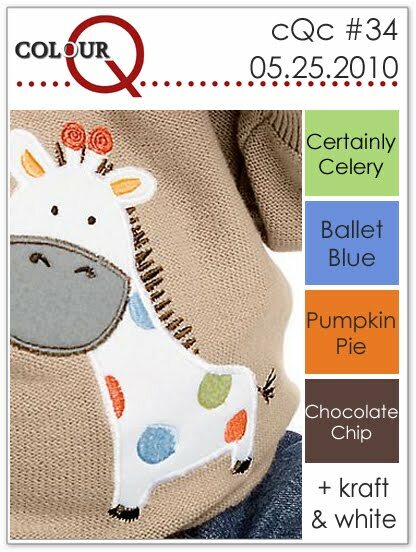 I used Chocolate Chip and Brilliant Blue inks by Stampin’ Up for my images and sentiment. Gosh I have this set and haven't used it in AGES! You've inspired me to pull it out! Thanks for playing the CQC again! okay Suzanne, secret to the fantastic bow??!! 😀 Beautiful card!! !